Owing to the powerful vacuum system there will be no mess after shaving. 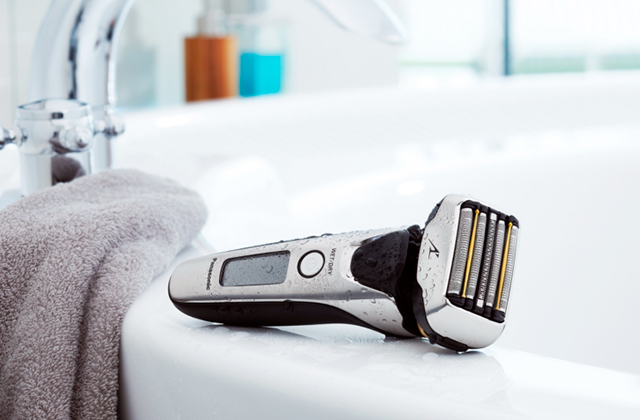 The device catches up to 94 % of trimmed hairs and stubble. Fitted with a big-capacity battery, it's rather heavy. 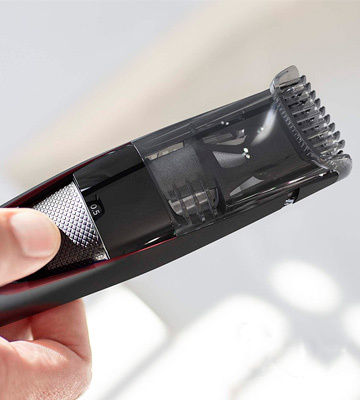 Thanks to sharp blades, Click-on trimmer, and comb, this model will allow you to keep your beard neat with barely any effort. And due to the dual-voltage support, it is a perfect grooming tool for frequent travellers. The LED screen shows you the current battery charge and selected trimming length, making the charging of the trimmer a breeze. Meanwhile, the memory function allows you to save the last settings so you won't need to adjust the trimmer each time. The max trimming length is only 5 mm. 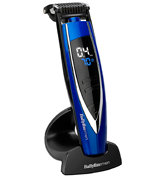 This BaByliss Beard Trimmer for men will fit those who have short beard and stubble. Owing to the flip-back design of the comb, you can also use this trimmer as a shaver. And its advanced contouring floating head will ensure the best shaving results. Thanks to the double sharpening technology, the stainless steel blades can efficiently deal even with a thick stubble. The cleaning brush is somewhat small. Fitted with the Dynamic Beard Guide system and the hair lift comb, this device is able to lift the hairs and precisely cut them to the needed length. Perfect option to achieve a neat and stylish beard look. The trimmer is capable of cutting through any hair type owing to the ultra-sharp and precision-honed 45° angle blades. A charging light might seem too bright in the dark. This all-in-one unit will help you trim your beard, moustache and hair fast and efficiently. It's quite easy in maintenance due to the waterproof body. 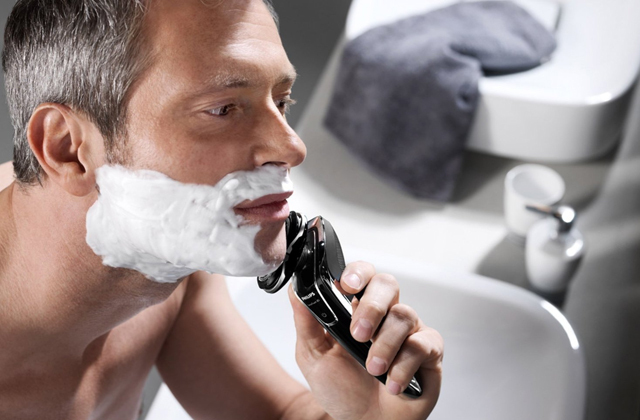 Durable ceramic-coated blades ensure efficient trimming of beard and moustache. 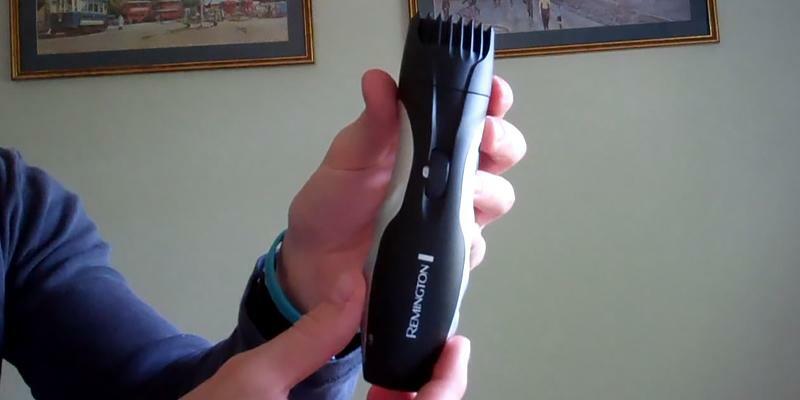 The Remington beard trimmer has a handy grip for your comfortable use. The pop-up trimmer is a bit small. Seek a reliable device for trimming your beard hustle-free? Consider buying this Remington trimmer. Being easy-to-use and maintain, this trimmer boasts numerous length settings. Want your beard always look neat? If so, we recommend considering the Philips Series 7000 Beard Vacuum Trimmer. This convenient device allows you to trim your beard and moustache neatly thanks to the Lift & Trim Pro System. The device offers 20 different trim settings that allow you to choose any length between 0.5 and 10 mm. But the best part is, this face trimmer delivers almost mess-free operation. 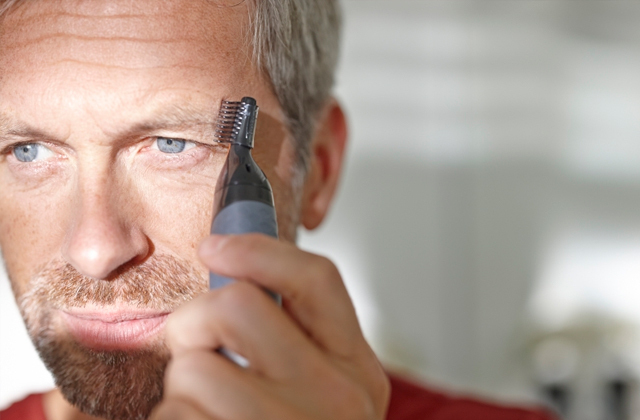 Thanks to the powerful vacuum system, the device is able to catch up to 94 % of trimmed hairs and stubble. As for the battery, it gives you from 60 to 75 minutes of runtime after a single charge. And just in case the charge runs low before you finish your grooming routine, you can benefit from Quick Charge function. It will allow you to complete your shaving after just 5 minutes. What is more, the set includes a dual voltage adapter that allows you to charge the trimmer over the seas with no extra tools required, which is perfect for frequent trtravellers. However, no product is flawless. Because the battery is pretty big in size, it adds more weight to the unit. Yet, we would call this inconvenience a minor con but not a dealbreaker. 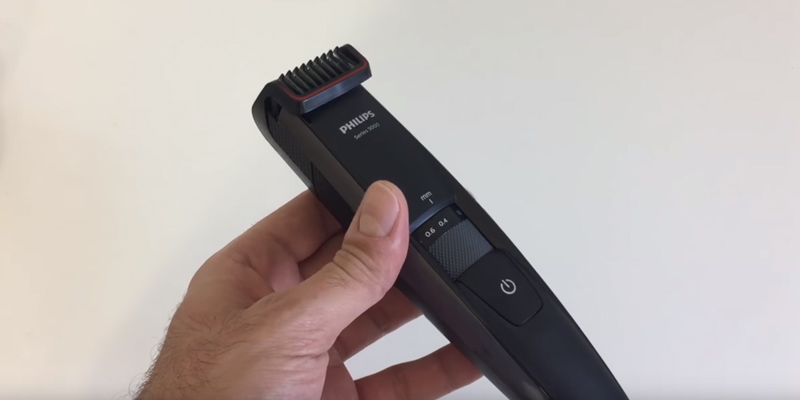 To sum it all up, if you are an active person and seek a functional device that will allow you to do quick touch-ups with no mess afterward, you will be hard-pressed to find a better option than the Philips Series 7000 Beard Vacuum Trimmer. 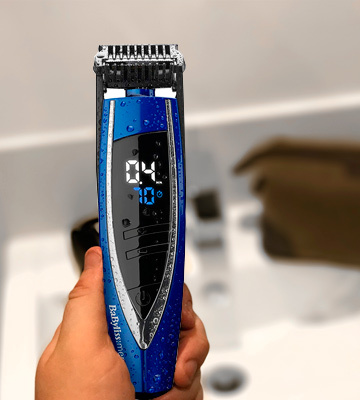 Thanks to the sharp blades and click-on trimmer, this model will allow you to keep your beard neat with barely any effort. The BaByliss Beard Trimmer for men is a functional device from a well-known brand. It will help you style your facial hair neatly and make this process a breeze (see these top 20 beard styles). 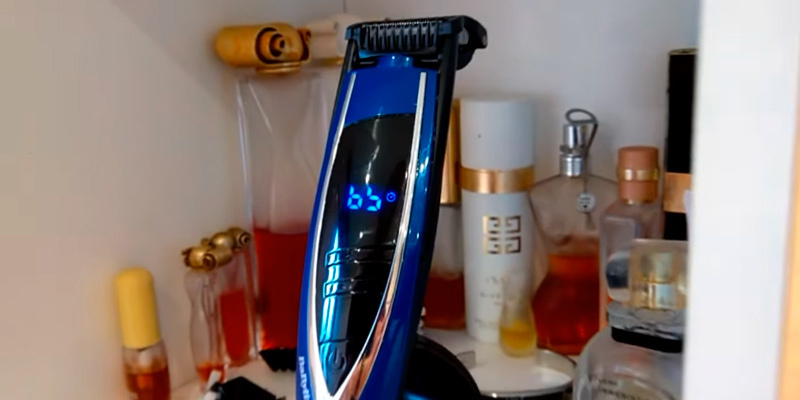 To begin with, this men beard trimmer is very convenient in use owing to the digital screen that precisely shows you the battery charge and the selected trimming length. Plus, the unit boasts the memory function allowing you to save the selected settings. Hence, you won't have to adjust the trimmer next time you turn it on. The trimmer offers 24 trimming settings, although some users say that they are not very versatile. While they certainly like the fact that the shaver can effectively manage a very short stubble thanks to the minimal length being 0.4mm, they do find the maximum length of 5mm a bit insufficient, especially if you grow a rather long beard. If not, though, this number should be enough. 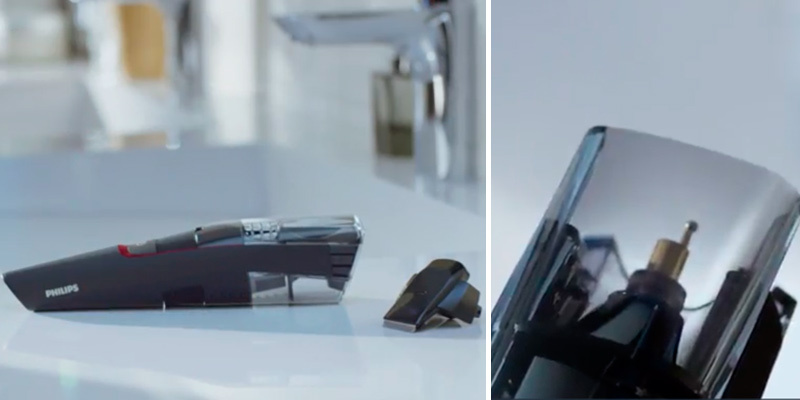 Take note that thanks to the flip-back design of the comb, you can also use this face trimmer as a shaver. It features an advanced contouring floating head that ensures the most precise shaving. And since the device has a waterproof body, it is suitable for both wet and dry shaving. It is also easy to maintain because you can clean it under the running water after use. All things considered, the BaByliss Beard Trimmer will fit those who have short beard and stubble. With this tool, you will be able to groom your facial hair with ease. 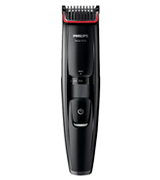 The Philips BT5200/13 trimmer is arguably one of the most efficient appliances to use to achieve the perfect stylish beard or moustache look. With 17 different trim settings, you can adjust the appropriate length from 0.4 to 10 mm. Thanks to the dual sharpening technology, the stainless steel blades will always provide you with neat and even trimming. They will groom even the thickest stubble and cut it quickly to the desirable length causing no unpleasant sensations. Plus, the blades are self-sharpening, hence, they will serve you long. This device is equally suitable for wet and dry trimming since it can work in both cordless and corded modes. You also can easily clean it with the tap water. It is especially handy since the cleaning brush is somewhat small and inconvenient to use. Only after one hour of charging, the Philips BT5200/13 will work for up to 60 minutes, which is quite impressive. 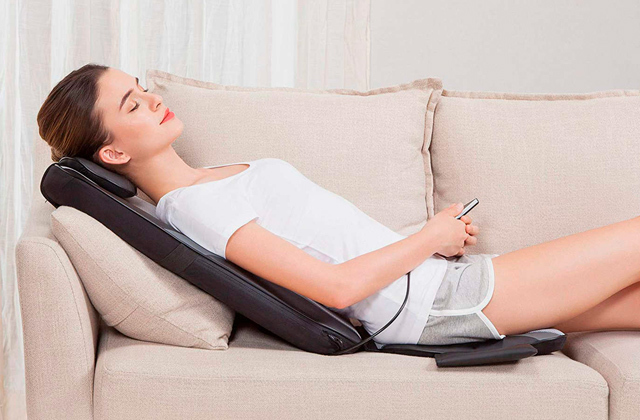 It also features a quick-recharge feature providing just enough time for one trimming session. All these features in combination with portable size make this trimmer one of the best options for those who often travel and need a device they can use on the go. It's never been easier to look neat and sharp as it is with the Philips BT5200/13. No extra efforts required. 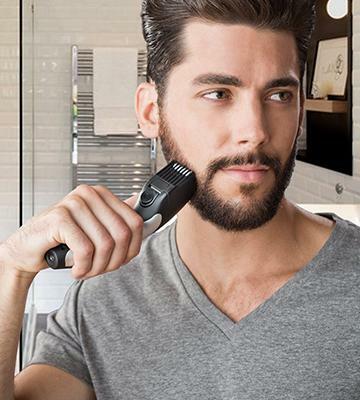 So, the Philips Beard and Stubble Trimmer will help you with quick touch-ups. This men beard trimmer is able to lift the hairs and precisely cut them to the needed length in no time. 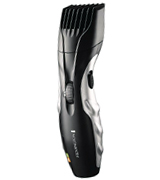 The Panasonic ER-GB40-S is an all-in-one trimmer that is meant for beard and moustache grooming. The unit comes with one versatile beard comb that provides 19 precision length settings for cutting, sculpting and detailing your beard. The length settings vary from 1 mm to 10 mm, hence, you are able to choose the appropriate setting to get better results. 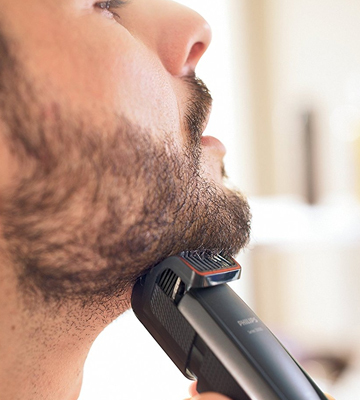 The Panasonic ER-GB40-S is a rechargeable beard trimmer, meaning it will suit both those who're looking for a portable model and those who need a trimmer for home use. When running in cordless mode, the trimmer provides up to 50 minutes of continuous operation. But what did slightly mar our impression though is that full charge takes about 15 hours, which is a lot of time, to say the least. This means you will need to remember to recharge the trimmer timely to be able to use it cordless. The good points are, the Panasonic ER-GB40-S is suitable both for dry and wet shaving due to its waterproof housing. 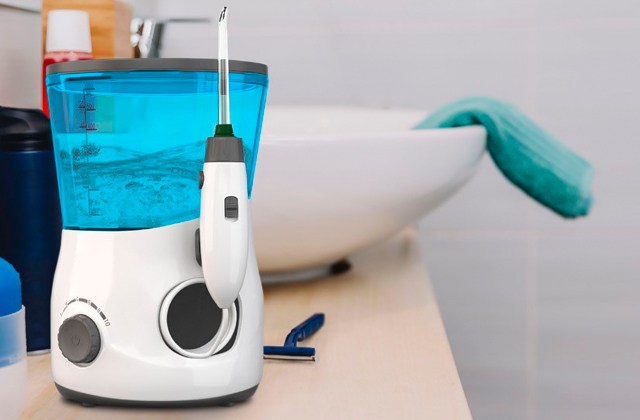 The fact that this trimmer is waterproof also gives you the advantage of hassle-free cleaning. All you need to do after use is simply rinse it under tap water. The blades of the trimmer are stainless steel and extremely durable. And thanks to the 45° angle they remain sharp for a long while. 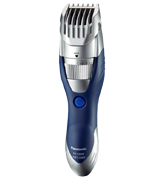 In all, if you're looking for a trimmer with which you'd be able to trim your facial hair quickly, easily, and effectively, the Panasonic ER-GB40-S is a great choice. If you need a reliable beard shaver that will give you a groomed look at home, this one might be a solid fit. 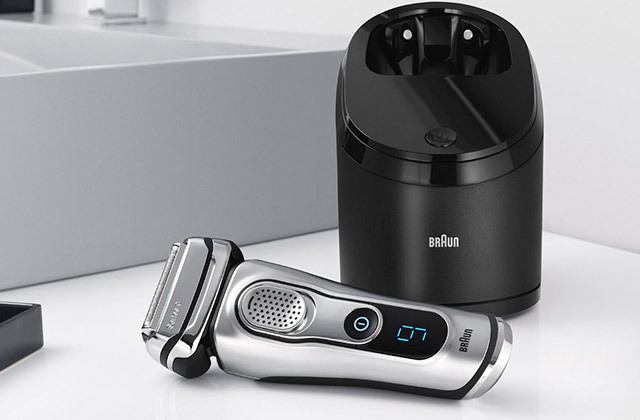 First of all, the Remington Barba beard trimmer allows for efficient trimming of beard, stubble, sideburns, and neckline thanks to its slightly curved shape and advanced ceramic-coated blades. Also, we would like to point out that the durable ceramic-coated blades are self-sharpening, which increases their service life a lot. Next, with 9 adjustable settings, you can easily get the desired beard and moustache length. 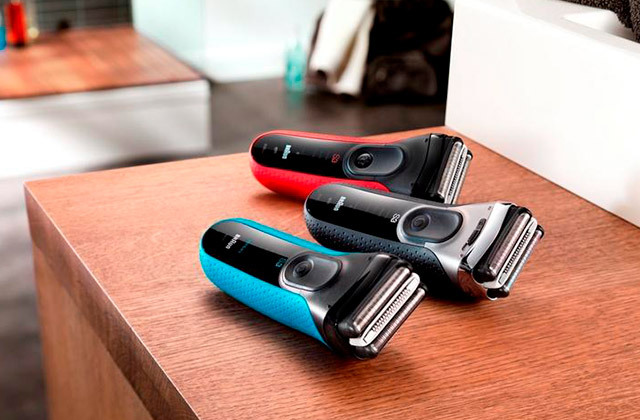 Plus, a thoughtful design of the beard trimmer ensures a comfortable grip and hustle-free operation. By the way, for shaping areas around the chin, the Remington Barba trimmer is equipped with an ergonomic pop-up trimmer. 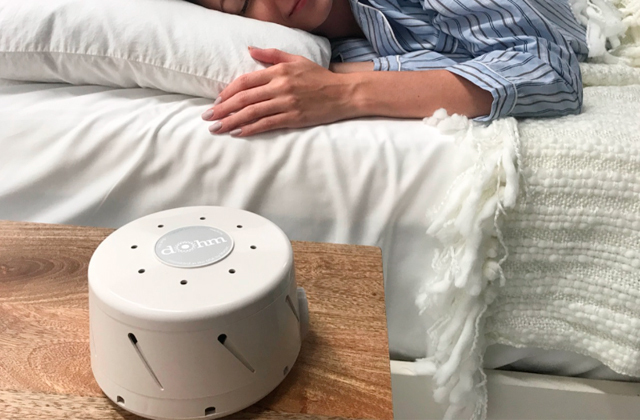 The device is rechargeable and can work off an outlet, which makes it convenient to use at home and on the go. One full charge can provide you with 16 hours of continuous work, hence, you don't have to charge it too often. All in all, the Remington Barba beard trimmer is an awesome device that can make your morning grooming routine easier. It is simple to use and maintain, not to mention it can work long hours from a single charge. A well-groomed beard is what can greatly smart up man’s appearance. If you’ve got a beard, then a decent beard trimmer is a must to keep on a shelf. The beard and moustache trimmer can trim, style and shape the beard and remove all unwanted hair from your neckline, sideburns, ears, and nose. 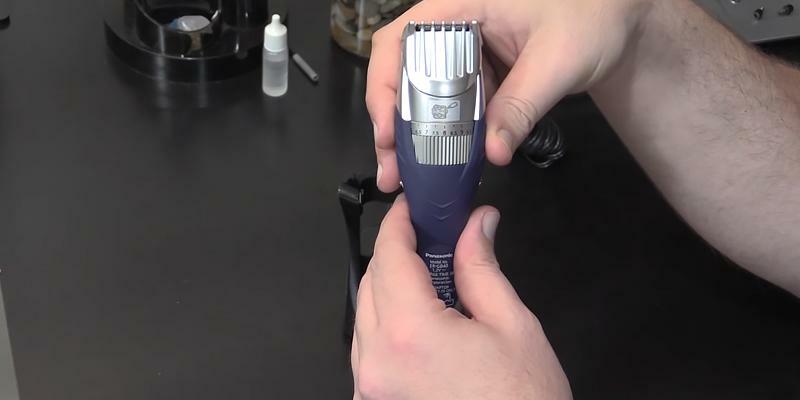 If you’re sick and tired of long morning procedures or spending money on expensive trims at the hairdresser’s, save up with one of the best 5 beard trimmers presented in our review. We would also recommend you to look through our hair clippers to accomplish your flawless appearance with a stylish haircut and consider buying one of the hair dryers to tend to it. Before you go buy a beard trimmer, decide on its prime purpose. Beside standard beard and moustache trimmers, there are multi-purpose units designed to remove nose and ear hair, shave head hair and style. The majority of modern beard trimmers are vibrational. When in use, they send slight electromagnetic impulses on the skin and cause no irritation. Compared to rotary devices, they’re less powerful but more than suitable for home use. Coupled with attachments, the functionality of trimmers can be greatly extended. 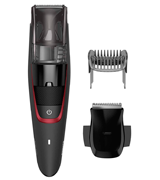 Consider the models with additional accessories like Detail Trimmer, Nose & Ear Hair Trimmer - small and bevelled trimmers with vertical shaving heads to extend to hard-to-reach areas. The majority of beard trimmers offer multiple length settings, increasing/decreasing by 0.02 inches. 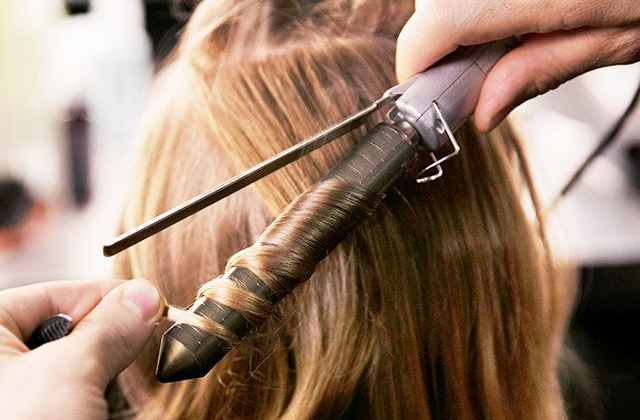 The more length settings the trimmer has, the more styling options you can try out. The plastic comb used over the top of the trimmer isn’t designed for beard styling. What it’s aimed at is cutting the length of the hair. For example, if your chosen trimmer hasn’t adjustable length settings, the adjustable hair comb will come in handy. There are also combs with fixed length settings. Also, pay attention to the beard trimmer's power type and battery life. The most powerful and reliable trimmers work off the mains. If you need to use a trimmer for a long time and on a regular basis, the corded device is what you need. The corded beard trimmers are great in many ways, though, they cannot be used far from the power outlet. Beard trimmers with built-in batteries are good for those who travel a lot and need to keep the device at hand away from home. Generally, such trimmers can work for about 40 minutes on a full charge while recharging the unit takes from 1 to 15 hours. The ideal option for most is a rechargeable beard trimmer that combines the capabilities of both corded and battery-run units. There are also beard trimmers that use replaceable batteries. However, they do require frequent battery replacement and a spare set of batteries is a must. Another aspect which is worth consideration is usability. 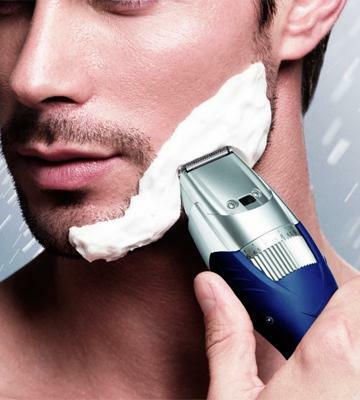 A water-resistant trimmer would be more convenient to use since it’s suitable for wet and dry shaving. There are also beard trimmers designed for dry shaving only, so it's up to you to decide which option is better for you. The material of blades is also important. You can opt for either stainless steel, high-carbon steel or titanium blades, but the latter would be the most durable. 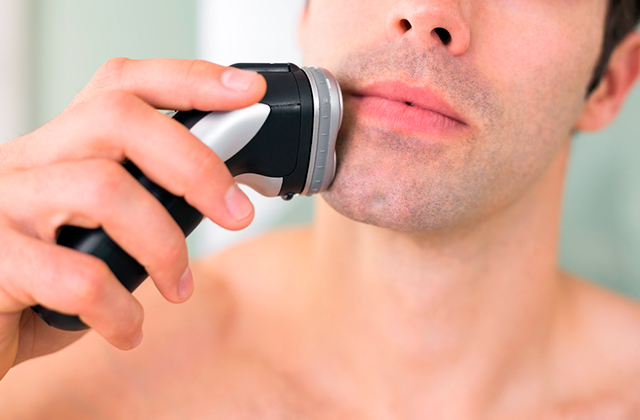 If you plan to use beard trimmers on a regular basis, you'd also want to make sure that the blades are self-sharpening. Such blades won't get dull for years. Some other things that ensure usability of use are a battery life indicator, length settings, a hair chamber, and so on. The package of any typical beard trimmer includes a special cleaning brush, a storage pouch, a power cord, and a stand. Some manufacturers also provide lubricating oil, hair combs, and blade guards (which is an obvious bonus). 1. Seamus Bellamy The Best Beard Trimmer, The Sweethome. December 7, 2016. 2. How to Use a Beard Trimmer, wikiHow. 3. Jon Chase The Best Beard Trimmer, Techlicious. August 23, 2016. 4. A Buying Guide for Men's Beard Trimmers, eBay. January 21, 2015. 5. Dane Curel The Ultimate Guide To Styling Your Beard, The Idle Man.